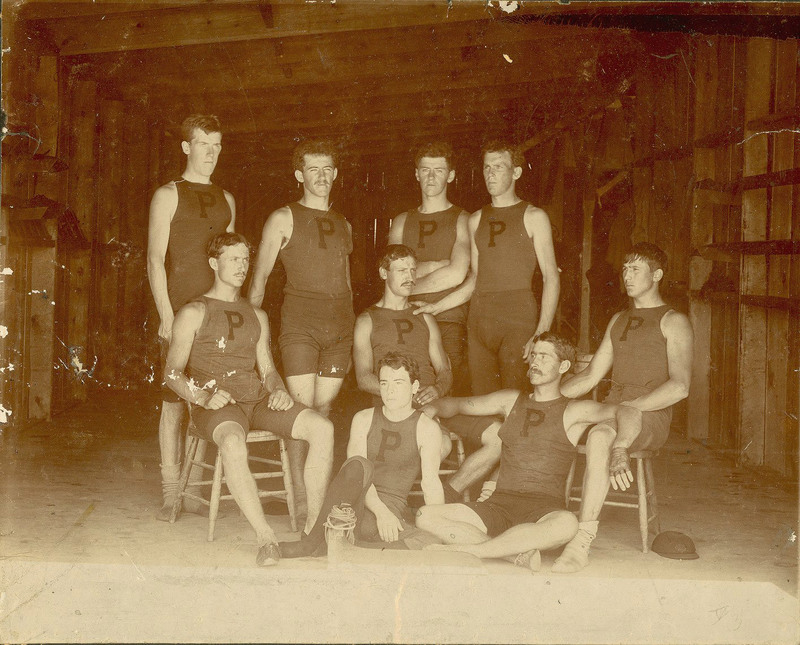 For a season-by-season account of races and members of varsity crews, 1877-1896, see George Orton’s History of Athletics at Pennsylvania, pages 63-101. The history of rowing at Penn began in the 1850s with the University Barge Club and the first class crews. In 1872 Penn students founded the College Boat Club with the aim of creating a competitive all-university crew. The first race rowed by crews composed entirely of Penn students took place on May 11, 1877 when the University Barge Club and the College Boat Club each assembled a crew of four Penn men to race against each other. In this race, the College Boat Club four (all sophomores) defeated the University Barge Club four (all seniors). In the following year, a University of Pennsylvania crew of four competed in the Nautilus Boat Club Regatta in Reading, Pennsylvania, as well as in the Schylkill Navy Regatta in Philadelphia, but in these regattas the Penn crew was competing against non-collegiate boat clubs and teams. 1879 was the year the pieces fell into place. In this year, Ellis Ward began his long association with Penn crew as trainer and coach, and also in 1879, a Penn crew entered its first intercollegiate rowing competition. The life of Ellis Ward illustrates the many facets of rowing in the nineteenth century. One of competitive rowing’s famed Ward brothers, he began training the Penn crew as a paid professional in 1879. Ward coached at Penn from then until 1913, except for four years during the 1890s when medical student George W. Woodruff was in charge of training. Although the employment of a coach or trainer for the team was considered unfair by some in the early years, Ward was considered one of the greatest coaches of his era. He led the Penn crew to many victories and a number of intercollegiate championships, and took Penn’s crew to England to participate in the 1901 Henley Regatta. Penn’s crews had a number of remarkable successes during the last decades of the nineteenth century, despite the difficulties of organizing competitions with other college crews in these early years. Penn crews began rowing competitively in 1875, the year after the completion of the College Boat Club boathouse. Their first races, however, were with crews from clubs not associated with any college; for example, Penn participation in the Schuylkill Navy regattas from 1875 to 1892 does not count as intercollegiate competition since the other rowing clubs on the Schuylkill were not college clubs. Penn’s first collegiate rowing event occurred in 1879, the year Ellis Ward began training the Penn crew and also the year George W. Childs donated what would come to be known as the “Childs Cup.” This cup was to be awarded to the winner of an intercollegiate race on the Schuylkill River hosted by the University of Pennsylvania. 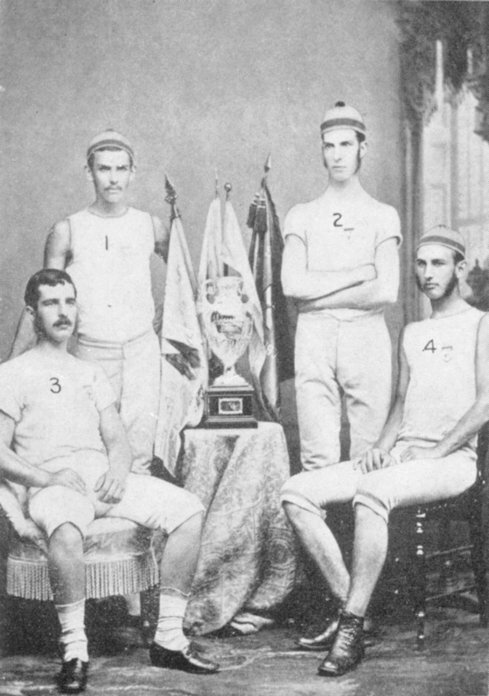 The first race, held on June 24, 1879, was attended by crews from the University of Pennsylvania, Columbia University and Princeton University. Columbia had won a prestigious race in London the year before and was widely regarded as the best American collegiate crew at that time. Penn’s four-man crew scored an exciting upset by defeating Columbia to become the first winner of the Childs Cup. This victory awakened considerable interest in the sport of rowing both at the University of Pennsylvania and in Philadelphia more generally. From 1879 until 1891, Penn went on to win eight of the ten Childs Cup regattas held from 1879 until 1891. The collegiate rowing underwent some changes in the 1880s. 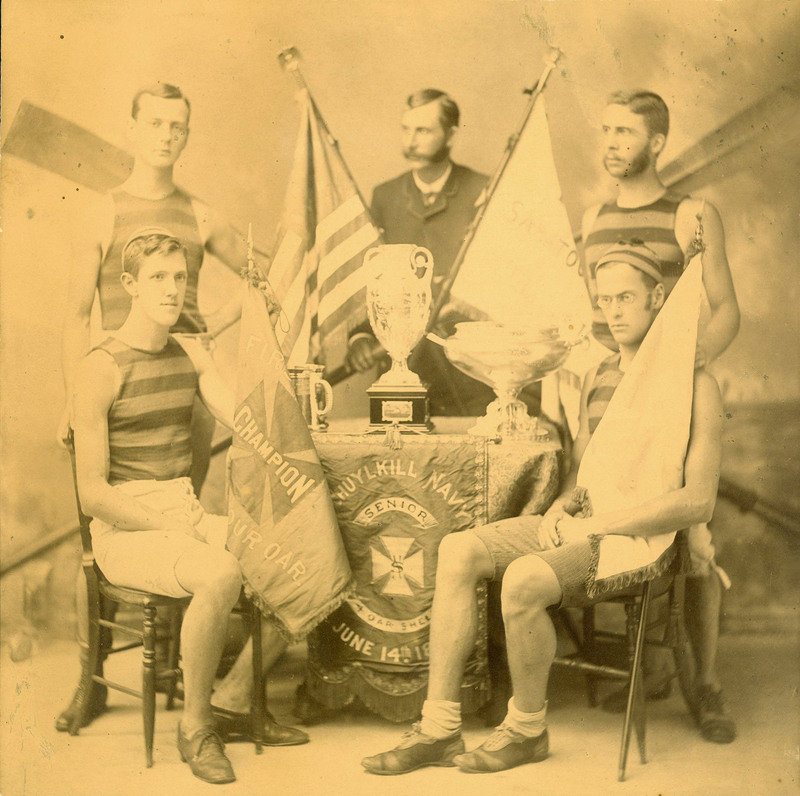 Before 1880 college crews had been primarily four-oar; the first eight-oar Penn crew was formed in 1881 but did not race in intercollegiate competitions until 1886. From 1879 until 1885 the University participated in fourteen intercollegiate races, all rowed by four-man crews. In 1886 the first varsity eight raced against Columbia and Yale; for the rest of the century Penn put both four-oared and eight-oared teams in the water. Unfortunately, scheduling intercollegiate varsity races proved to be quite difficult; the varsity eight had only one per year in 1887, 1888, 1890 to 1893 and 1895. 1882 was an outstanding year for the University of Pennsylvania crew. In the Schuylkill Navy Regatta of that year Penn won five of the six events it entered. Penn also defeated Princeton for the Childs Cup and then won the Intercollegiate Regatta at Lake George, defeating Cornell, Wesleyan, Princeton and Bowdoin. 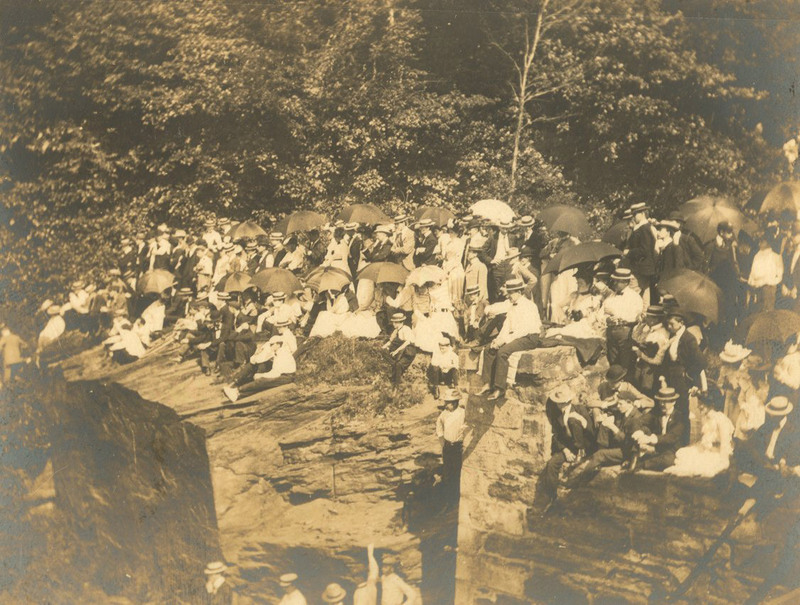 The Intercollegiate Regattas had begun in 1880, bringing together crews from Pennsylvania, Princeton, Cornell, Wisconsin, Bowdoin and Wesleyan. In 1884 Penn faced two of its hardest races, defeating strong teams from Cornell and Princeton to win both the Childs Cup race and the Intercollegiate Regatta. An account of the of the Childs Cup event by George Sergeant, Jr., Class of 1884 (shown at the right in the photograph) appeared in the June 1896 Alumni Register. According to Sergeant, the course was on part of the Schuylkill River near Flat Rock dam, which had a tow path for the mules to tow the canal boats. The course was supposed to be clear of boats for the race, but when the Penn crew approached the last stretch of the course, they were dismayed to find a canal boat in their path. A critical decision had to be made: go around the boat and face certain defeat, or go between the boat and the bank, thereby facing probable swamping of the boat from the tow rope being jerked by the mules. The bow oar made a split second decision to go between the boat and the bank, yelling out for the mule driver to stop. The rope sunk just as the Penn shell sped over it, and thanks to their tremendous effort, the red and blue crossed the finish line a half boat length ahead of Cornell. 1889 was another exciting year for Penn rowers. Although Penn came in a very close second to Yale in an exciting New London race, Penn’s freshmen crew turned the tables a few days later by defeating Yale’s freshmen in another thrilling race. Rowing then went through an unsettled period at Penn. In January 1892, Ellis Ward resigned as coach to take charge of the crews of the Manhattan Athletic Club. He was initially replaced by members of the previous year’s crew and by graduate rowers, led by F.B. Hancock, Class of 1892. 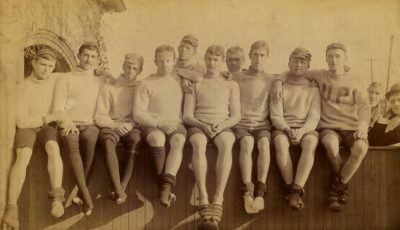 But before the spring of 1892 was over George W. Woodruff, a Penn law student who was also coaching football, took charge of training the freshmen and varsity crews. Coach Woodruff ordered crew candidates to report and begin training in the first weeks of January; besides general conditioning, rowers used the gig in the indoor water tank. Woodruff worked hard, but was spread too thin to devote as much time to crew as he did to football. Woodruff also had to devote considerable time and effort in retraining rowers who had trained with Ward. Ward had trained rowers in the stroke used by the Ward brothers in their successful races, but this stroke was controversial and little used by other college crews; under Woodruff’s direction, Penn rowers were trained to use the more widely accepted stroke. Uncertain finances also remained a concern in the last decades of the century. Boathouses, coaches, and rowing equipment all cost money, and Penn’s increasing intercollegiate presence required even more money for training and travel. 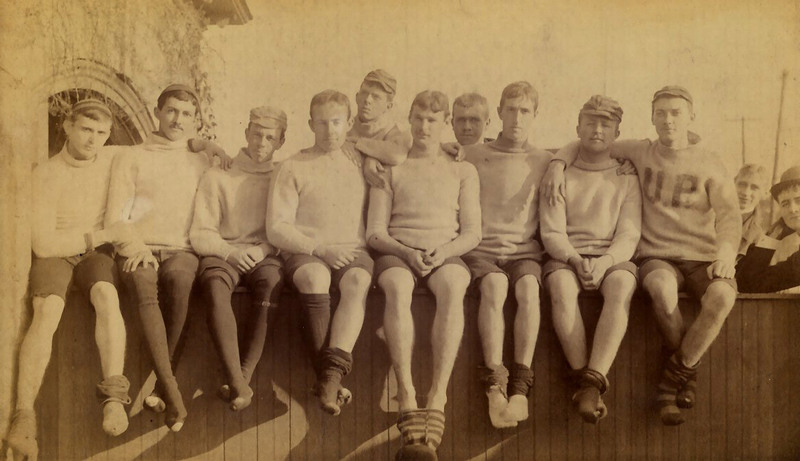 For all of the 1890s and early 1900s, the College Boat Club was the only athletic organization at Penn not run solely by the Athletic Association. The Penn crew was instead managed by a Committee on Rowing, composed of alumni representatives from the Athletic Association and officers of the College Boat Club. There was some tension here between students and alumni. When Coach Woodruff appealed to the Committee on Rowing in 1893 for permission to purchase both a paper and an aluminum shell, he was not turned down. Alumni, however, continued to pressure rowers to raise more funds from current students instead of relying heavily upon the Athletic Association. This pressure led to the 1893 College Boat Club decision to widen its membership beyond varsity rowers as a means of raising revenue. Given these issues, the Penn crew was not as active or successful during the early 1890s, but this changed in 1896 when Ward returned as crew coach (and Woodruff was allowed to devote all of his considerable talents to the Penn football team). Penn crews quickly improved their standing in intercollegiate rowing, going from last place in 1895 to third place in 1896 and again in 1897. By 1898, Ward was able to again put Penn as the top of the collegiate racing world; with a totally inexperienced crew and considerable opposition, he produced a crew that won every race it started, including the collegiate rowing championship of America. 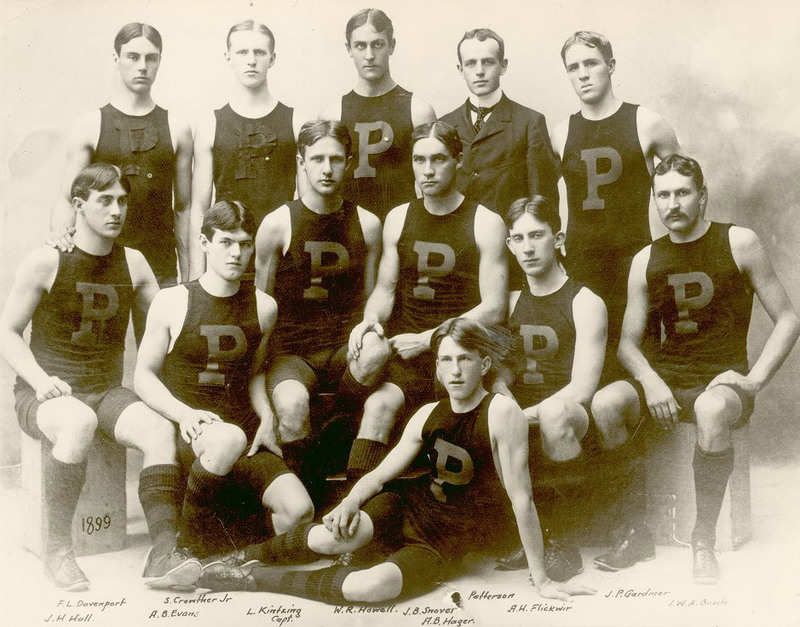 And to prove this was not a fluke, Penn went on to win the championship of the Intercollegiate Rowing Association in the following years of 1899 and 1900. By 1901 Ward and his crew were traveling to England to give the British a run-for-their-money at Henley.